The Board of Directors at Hendry Marine Industries is comprised of Tampa maritime and business influencers, all of whom are equipped with the knowledge and relationships paramount to ensuring the prosperity of the company. The Board directs the company’s affairs, while making sure management is acting in the best interests of the shareholders, stakeholders, and employees alike. James W. Goodwin, II is a graduate of the University of Illinois College of Law and the University of Florida where he earned an LL.M. in Taxation. He is admitted to practice law in all Florida State Courts, the U.S. Middle District of Florida, the Eleventh U.S. Court of Appeals and U.S. Tax Court. He has provided legal representation to the Hendry family and companies for over 35 years. As a shareholder at the law firm of Macfarlane Ferguson & McMullen in Tampa, he assists clients with business and corporate matters that includes acquisitions, mergers and securities. He also provides representation in the areas of complex tax planning and wealth planning, for both businesses and individuals. He is a member of The Florida Bar, the Hillsborough County Bar Association and Leadership Tampa Alumni. Kelly Hendry joins the HMI organization following a 35-year career in the fields of Business and Education. On the Board of Hendry Holdings, LLC, she is primarily involved in portfolio management (investment strategy) and strategic planning. 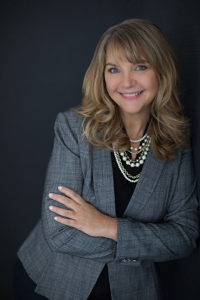 A graduate of The University of Florida with a major in Economics, Ms. Hendry began her career in the Institutional Financial Services industry. Early career roles for a major regional bank grew into an opportunity to join Merrill Lynch Capital Markets, where she served on the Florida Institutional Account Services Team for Fixed Income Sales and Trading. Ms. Hendry was recruited from Florida to join Merrill Lynch Money Markets International in New York, where she acted as a Product Specialist and Trading Liaison. Following her move back to Florida to raise her two children, Ms. Hendry completed a Masters in Curriculum and Instruction and worked as a classroom teacher for twelve years. She is currently pursuing an Educational Doctorate degree with a concentration in Leadership of K-8 STEM Education. 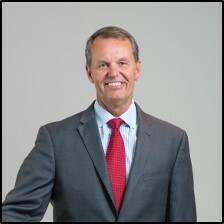 Michael Hendry is a Georgia Institute of Technology graduate earning a Bachelor of Science in Management, Co-Operative Program and a Certificate in Accounting in 1989. He started at Hendry Corporation as a deckhand on the Tug “Mack” in 1983 and was one of the initial start-up employees at Tampa Bay Shipbuilding & Repair. Mr. Hendry has held various shipyard positions over the years, including Shipyard Manager and Materials & Subcontracts Manager. He currently serves as Co-Chairman of the Board of Directors of HMI, and Vice President of Hendry Holdings, LLC. Mr. Hendry has been a member of the Rotary Club of Seminole Lake since 2003 and has held all club officer positions over the years, including President. He was named Club Rotarian of the Year in 2008 and has served as a Director of the Rotary Club of Seminole Lake Charitable Foundation. Mark House holds a Florida Class “A” General Contractor’s license as well as an engineering degree specializing in aerospace engineering. A 1980 graduate of the United States Military Academy at West Point, he served for more than five years on active duty. Joining The Beck Group in 1999, Mark was responsible for developing the firm’s new Integrated Services Division, incorporating real estate and design/build work, including land and finance acquisition services. In 2002, he was selected to be the Chief Human Resource Officer for the company and moved to the corporate headquarters in Dallas. There, he was responsible for all benefits, training, recruiting, compensation, personnel management and leadership development for the company. During his tenure in Dallas, The Beck Group was selected for various awards honoring a quality work environment, including a ranking on Fortune Magazine’s “Top Places to Work” list. One of the country’s largest commercial contractors, Beck has been committed to Florida since the early 1980s. 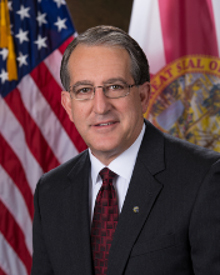 Under Mark’s leadership, notable projects that Beck has built in Florida are the The Dali Museum in St. Petersburg, USF Health CAMLS, multiple projects at The University of Tampa, The Sykes Building, (recognized as the “round” building in downtown Tampa) and Airside “C”, the Southwest Airlines airside at Tampa International Airport. Mark is currently the Director of National Strategic Projects and responsible for the Life Science and Healthcare business for Beck. He is active in the Tampa community serving on the Tampa Zoo Board and 5/3rd Bank Board as well as the Board of Advisors at West Point. Mike Macaluso has held financial positions of increasing responsibility spanning a 42-year career. Mike received an undergraduate degree in Accounting from the University of South Florida and an MBA from the University of Tampa. He began his career with GTE Corp., holding numerous management positions in GTE’s financial area. Mike then was employed by the New York Yankees in various financial management positions, the last two as Chief Financial Officer. He joined the Tampa Port Authority, now Port Tampa Bay, in 1998 as Chief Financial Officer, where he was responsible for overseeing the departments of Finance, Human Resources, Procurement, Information Technology and Legal. After a 20-year career with Port Tampa Bay, Mike retired in April 2018. Mike is a native of Tampa, is married to his wife Jeanette and has two married children and is a proud grandfather of four. 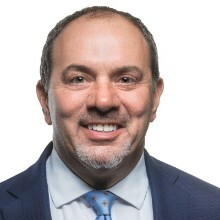 Dennis Manelli is a Tampa, Florida native – who appreciates the significant impact the Hendry family has made on the Tampa Bay area, the Port and the entire state of Florida. Dennis considers it an honor and a privilege to serve as General Counsel to Hendry Marine Industries (HMI) and its various subsidiaries. Dennis has spent most of his career in the maritime industry. He served as the very first in-house counsel for the Tampa Port Authority. In his current role at HMI, Dennis is building on the Hendry family legacy that started when the business was first organized in 1926 to produce oyster shells for use in roads and other construction projects. Today, HMI offers a full palate of services including ship repair, steel fabrication, marine environmental, employee staffing and stevedoring/terminal operations. HMI continues to grow and diversify through strategic, maritime-related investments. Outside of his work at HMI, Dennis is very active the Port community. He has been on the Propeller Club Board of Directors since 2007. He is a past President and currently serves as Treasurer. Dennis also serves on the Port of Tampa Maritime Industries Association Board, the American Victory Board and Port of Tampa Harbor Safety & Security Committee. Dennis graduated from Jesuit High School and received his undergraduate and law degrees from the University of Florida. 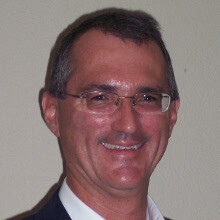 Dennis is a member of the Florida Bar and is a licensed Florida C.P.A. He is married to Leslie and they have two adult children, Kara and Jenna. Arthur R. Savage is the third-generation owner and operator of A.R. Savage & Son. As a fifth-generation Tampa native, Arthur’s family played an important role in establishing regular shipping operations in Tampa Bay and has been deeply involved in the development of the ports and the community for many years. The Hendry and Savage family relationship is extensive and goes back many generations. In the 1860s, Captain James McKay moved his cattle shipments from Tampa to Punta Rassa in Lee County, with plans to ship them to Cuba. In 1870, Capatin F.A. Hendry (Aaron’s grandfather) moved from Ft. Meade to Ft. Myers where he established docks at the mouth of the Caloosahatchee River on Punta Rassa with the intent to ship his cattle to Cuba as well. The families of the two men strongly suspect that the latter knew each other, on account of their presence in the Punta Rassa region for the same purpose and during a similar time frame. In 1923, Hendry County was named in Honor of Captain Hendry to recognize him for his contribution to the area. As the founders of Shell Producers Company and A.R. Savage & Son, Captain F.M. Hendry (Aaron’s father) and A.R. Savage (Arthur’s grandfather) knew each other. Captain Hendry started Shell Producers Company in 1926, and at that time, Mr. Savage was running Port Tampa for the Atlantic Coast Line Railroad. Mr. Savage started A.R. Savage Company in 1945, later renaming it A.R. Savage & Son after Arthur’s father, Bill, joined the company in 1954. Bill was friends with Aaron and his brother Harold until his death in 1982. In 2013, when Aaron started the Advisory Board for HMI, he asked Arthur to join. Arthur has been recognized for his role in the Industry by the Propeller Club of the United States, and has been named the Southeastern USA and Tampa Bay’s Maritime Person of the Year by the organization’s respective chapters. 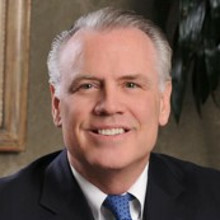 Michael Weeks is the Dean of the Archie W. Dunham College of Business at Houston Baptist University. His research and teaching specializes in innovation management, leadership, and issues involving technology and the organization. Before accepting his position at Houston Baptist University, Dr. 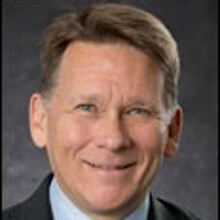 Weeks was an Associate Professor of Management at the University of Tampa where he was also the Senior Associate Director of the TECO Energy Center for Leadership. Dr. Weeks began working with HMI through several strategy development projects and leadership training initiatives while serving at the University of Tampa. Dr. Weeks was also an active-duty Air Force pilot for over 20 years. Dr. Weeks retired from the U.S. Air Force at the rank of Lieutenant Colonel in 2007 after a 21-year career flying C-141s, T-38s, and T-3s. Dr. 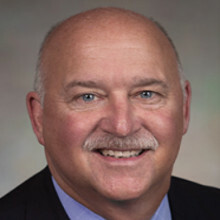 Weeks holds BEE and MBA degrees from Auburn University, as well as Master of Science and PhD degrees in management from the University of Oxford.